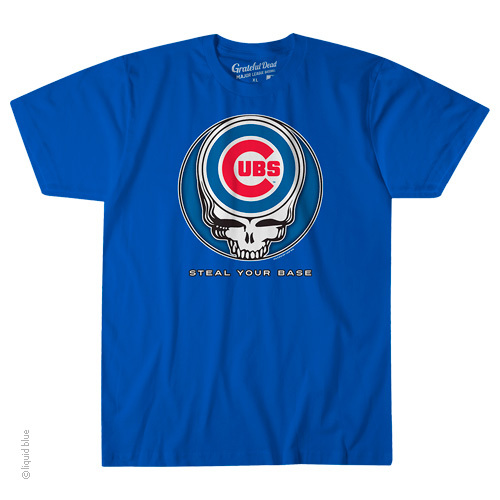 Steal your base with this Grateful Dead Chicago Cubs combo T-Shirt. If the Cubbies and the Dead are two of your favorites, this t-shirt is a must have! Officially licensed by MLB and Grateful Dead Merchandising.